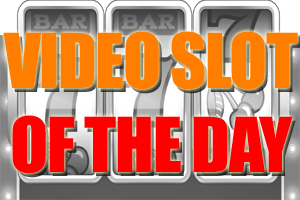 HOME > VIDEO SLOTS > Play the New 'Game of Thrones' Slot with a Sp.. Play the Game of Thrones Slot for Real Money! Some people have become obsessed with HBO's series "Game of Thrones" that they'll take any chance they get to travel to Westeros. Whether it mean rooting for fan-favorite House Stark or the dreaded Lannisters, people can't stop talking about the Mother of Dragons, Tyrion Lannister and Lord Commander of the Night's Watch Jon Snow. This means more games featureing this highly valuable brand. The online casino world has taken notice and have added a new slot game to their sites: Microgaming's "Game of Thrones" slot game. Featuring state-of-the-art graphics and animation, this slot game is enhanced by its exciting story line feature that ups the stakes. Slot symbols feature familiar family crests from the various houses of Westoros or important families and cities from Essos as well as the all-important Iron Throne of King's Landing to top it off. Game logos and wild symbols can stake as high as three in the base game and free spin game. Hitting 2 Iron Throne scatters will win you a scatter bonus and three or more takes you to the climactic "Free Spins Bonus Choice" round. This doesn't even take into account the special trail gamble feature: a map-based side quest that offers more opportunities for additional payouts. 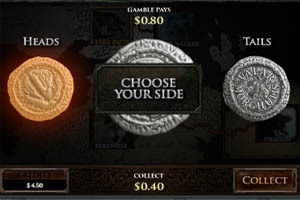 The free spin feature lets you choose between four major houses of Westeros in order to gain free spin chances, and each house has unique multiplier options and individual amounts of stacked symbols. With a great balance between smaller-sized wins and larger jackpots, this online slot game is perfect for those who know that when you play the game, you win or you die!